Clifden 17th October 2007. 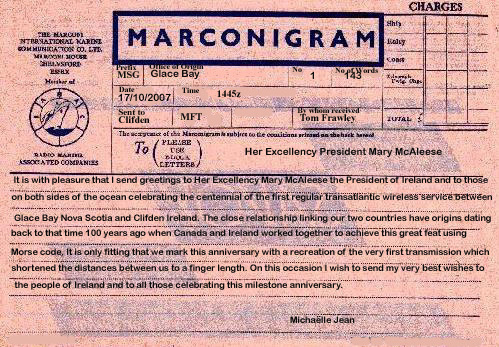 Copy of telegram from the Governor General of Canada to President Mary McAleese. Message received by ROA member Tom Frawley.